We definitely shoot faster than we print in today’s world. Back in the days of film, it was a 1-to-1 ratio. You took the photo and you printed it. Heck, you probably printed two of every picture because they always had a deal on doubles! Now you take a ton of digital photos, knowing full well that 99.9% of them will never (ever) be printed onto paper. Sure, you can start printing all your digital pictures. But that leads to the former well-known definition of physical hoarding and clutter because now you’d have photo albums filling bookshelves and stuck under beds. Who are we trying to kid? If you printed all the digital photos you take, you’d probably have all those photo prints filling Amazon cardboard boxes because they never quite made it into photo albums, right? Hey, no judging, no shame. Maybe the photos you printed are sitting inside same boxes that also hold the special new Project Life scrapbook photo album you ordered online from Amazon with the best intentions to fill them fast and finally get “caught up.” Yeah, so that happens. You’re not alone. I hear it all the time. Trust me, printing all your photos as 4×6 prints is NOT the wisest solution in the end either. I didn’t say I don’t suggest printing. Not at all. Just not ALL of them. We will talk more about printing options before our two weeks are up so let’s first focus on dealing with our overwhelming digital dilemma. Okay, I’m not exactly promoting the fact that “only children” are the solution to digital photo organization. I’m just saying that if you have more than one kid you likely suffer from what once was termed “Double Print Syndrome.” Because any photo that includes more than one of your kiddos faces will have to be printed twice so you can put it both kids’ piles. I can see all you Moms of siblings nodding your heads at this logic. It’s the same concept for digital, minus the printing. You’d think you would need to duplicate, or copy, the image so it can go into two folders labeled for each child. But please don’t! This concept not only doubles your workload but it also can cut your hard drive space in half! Not a wise move on either side of the coin. I’ll give you alternative ways to assign that information to the one JPG. Think of it like a photo on Facebook that you tag with the names of everyone pictured and that data is saved along with the image so you can see it later. Or forever if we’re talking about Facebook, right? We just spent a whole blog post or two on naming files and folders. It’s that important. And let me just tell you that “Miscellaneous” is NEVER a good name for a folder. The same goes for “etc” or “other” or any alternative word that doesn’t really describe anything specific. You may as well call it LATER because all you’ve done is delay the decision-making needed to label these photos clearly or sub-divide them into sorted folders that can be named. But what about all those so-called “homeless” photos that don’t seem to fit into any of your existing categories? Do they just end up loose as random leftovers scattered inside folders here and there? If you really can’t identify what a batch of photos could be called, are they important enough to keep? If you still say yes to these pics, then I recommend having a maximum of one folder for each month that is named YEAR-MO-GENERAL to hold what’s left of the non-labeled pre-sorted photos. Some people prefer to have everything neatly placed inside folders. Or if this doesn’t sound like you, just let them be by themselves inside your YEAR-MO folder. For those of you already lost as to why I shortened “MONTH” to “MO,” it’s to remind you that we want a 02-digit month so your computer displays them in order. Smiley face stickers and high fives for those of you who picked up on that subtle hint! When you upload photos, maybe your camera or digital device and photo software automatically creates a folder on your hard drive with that day’s date. While you’d first think this is a definite advantage in that it handles date-labeling for you, it doesn’t solve everything because your folder most likely includes a larger batch of photos that are much older than today’s upload date. For example, let’s say you upload photos the morning of April 1 (no joking!). Chances are, the photos are technically all taken in March, right? And if you don’t regularly download your photos off your camera’s memory card, you might be copying pictures from back in 2014, maybe from Christmas or even earlier. See how the 2015-04-01 folder date would be misleading in this case? This part is fun. Well, not at first. Why is it so hard to hit delete sometimes? I think it’s a little like taking a 4×6 printed photograph, crumpling it up, then shredding it into pieces and throwing it into the smelliest, ickiest dumpster that’s going to be picked up by the garbage truck within 30 seconds. It seems so harsh and so final. If you have doubts that you may someday question your deletion efforts, you may be paralyzed with fear, choosing not to delete now. But by delaying your deletion decision too many times, the JPGs begin to pile up quickly. Your mission today is to start from your most recent photo folders (and then work your way back in time). 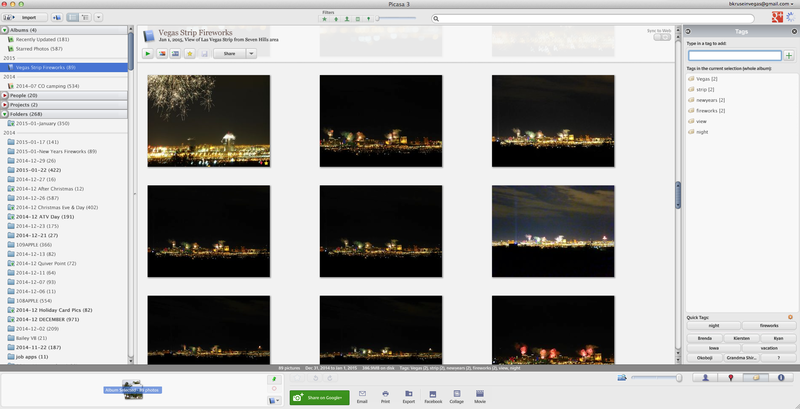 Open whatever photo viewer you like on your computer so you can see the image in full-size. Look quickly and make a gut instinct decision if it’s a great (or at least good if it’s the only one of its kind) photo. If you absolutely don’t like it (or need it preserved), please hit the DELETE key or trash it. And move on to the next. Easy ones to ditch are the “finger in front of the lens,” “pitch black lens cap still on,” “blurry/out of focus (unless intentional), “your feet or the ground (if not planned or a successful accident), “unflattering up-your-nose selfie views,” and so on. If you’ve taken multiple shots — and if you have kids, it’s a given — study the first shot, then look at the second one to compare it closely. Which one is better? Eyes open or closed? Smiles? Any distracting background or foreground in one vs the other? Zoom in to double-check the details. Once you pick a winner between those two, send your winner into the next round with the next photo in the series. Keep having them “battle” to determine a winner unless they are different enough to warrant keeping more than one set. For example, the pose and the people are the same but one shot is of everyone smiling nicely and the second shot is the wacky faces one. You’ll probably want to keep both and that’s okay. The end goal is to eliminate the extras, reducing hard drive space and cloud storage costs. If you photograph toddlers, sports or sunsets, you probably have more “series” or burst photos than any of us. That’s because you must shoot often in hopes of catching the exact perfect instant and you usually don’t know you caught a great shot until after the fact when the action is over and you can analyze the photos afterward. Most of us know to delete the really unflattering, really blurry images of people. But what about a sunset photo that’s still just as awesome as the ones before or after it? It can be hard to narrow these down unless you are a pro with a trained eye and ruthless regard for reducing image count. If you can cull your choices down and the ones left still tell “the story,” you have enough. If you can’t tell the story of a sunset in fewer than 65 photos, you need help. Enlist a loved one or a good friend you trust to vote. However, you have to agree to let them delete the ones they didn’t choose as the very best. You can’t ask for their input and then veto it! Try to “let it go” and realize that these sunset photos are not as precious to you as ones of your loved ones. If you keep too many sunsets, you won’t have room for your kids or cats. Try to keep things in perspective, people. NOTE: Speaking of cats…if you’re a curious one, note your hard drive/folder sizes before you start deleting so you can quantify the results of your efforts with real data! You’ll either be amazed or depressed at the results of your efforts. Forgot my “real” camera for my son’s basketball game one Saturday morning so I had to shoot with my iPhone. Obviously, I mostly got a lot of pics of blurry players & usually missed the main action. Come Monday, I needed to go back & delete the ones that can’t be salvaged! 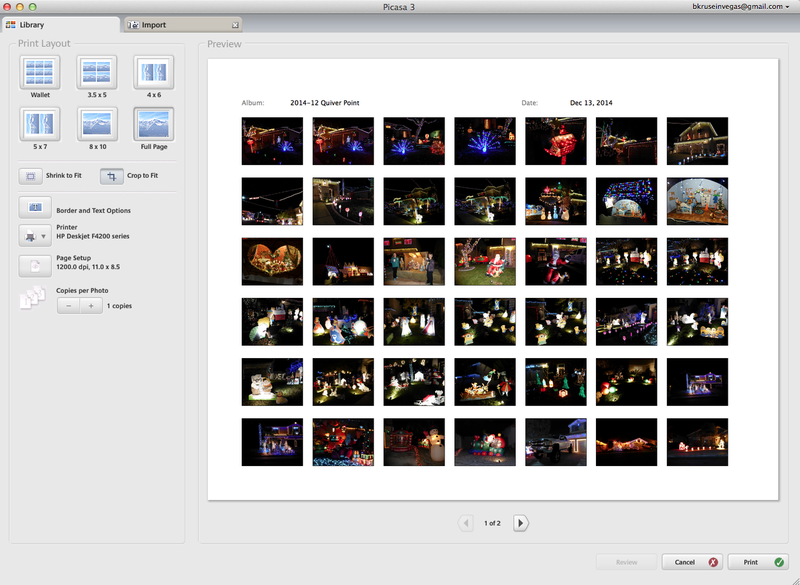 Once done with a batch, pick a new month and its sub-folders to view and find delete-able shots. Keep on keepin’ on until you’ve deleted any for-sure duds or duplicates, and eliminated any extras. That includes silly or random reference shots you snapped just to text to a friend or to remember where you parked and no longer need in your own photo collection. Be a little ruthless here and you’ll be grateful when we do the next steps. Better yet, you need to start doing this shortly after you shoot instead of months later. I’m not saying you have to look and delete right from your phone or camera after you take the pics in that very moment. But usually within a few days, you’ll find some free time to flip through them & compare/decide. If taken on your phone, you may prefer to wait until they are on your larger computer screen to see them better to decide. That’s okay but don’t just keep them all and tell yourself you’ll decide to delete later. We all know how that ends up, right? You don’t do it because you’ll think you’ll have time another day. 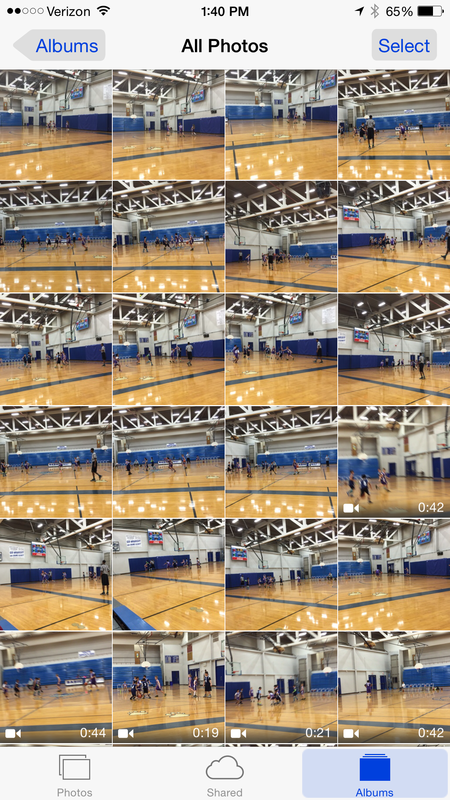 Until you’re all set to record your child’s [insert important moment: recital, game, first steps, prom, etc] and your phone/camera memory is full you can’t capture the special moment so you have to suddenly start deleting things in a rush to hopefully make enough room to capture what you can. The added pressure and stress of that moment, nearly (or maybe entirely) missing out on enjoying it (as well as recording it for the child or others to see later), as well as possibly deleting a photo or video you really DID want to keep, plus the sinking feeling of failure at being organized “one of these days” is enough to depress even the perkiest of people. Don’t let this happen to you…ever or again. Don’t delay. Do it today. Download. Delete. Deal, people! DAY 4: 15 MINUTES: DELETE THE DUDS! Set your phone’s timer or stopwatch for 15 minutes and open your main photo folder’s most-recent month’s pictures. 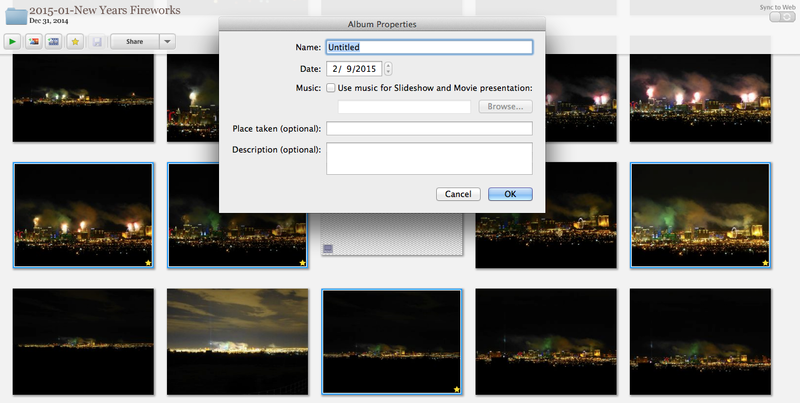 Use whatever simple picture viewer software you wish (Windows Photo Gallery or Mac Preview or Quick Look) to view each photo and decide if it’s worthy to save or delete. If you have duds, they’re easy to delete. Same goes for duplicates. Compare closely to choose the best and pick your faves. Can’t decide? Ask an unbiased friend to vote but give them the power to delete the ones they say aren’t as awesome as your others. It’s the only way to keep from drowning in a digital sea of JPGs! OPEN YOUR 2015 MONTHLY FOLDERS & VIEW THEM LARGE ENOUGH TO DECIDE TO DELETE OR KEEP EACH PHOTO. MOVE QUICKLY THROUGH ANY SUB-FOLDERS & THEN WORK BACKWARD THROUGH 2014 & PAST YEARS UNTIL YOU’VE ELIMINATED ANY EXTRAS. IF YOU SAW ANY PHOTOS THAT NEED EDITING TO BE SAVED, SAVE A COPY OF THE FILE AND RENAME IT WITH “2EDIT” AT THE FRONT OF ITS FILENAME. MAKE SURE IT IS SAVED IN THE SAME LOCATION AS THE ORIGINAL. BONUS: IF DELETING WASN’T HARD FOR YOU, FEEL FREE TO TACKLE SOME OF YOUR EDITING & THEN DELETE THE ORIGINAL (IF SATISFIED). 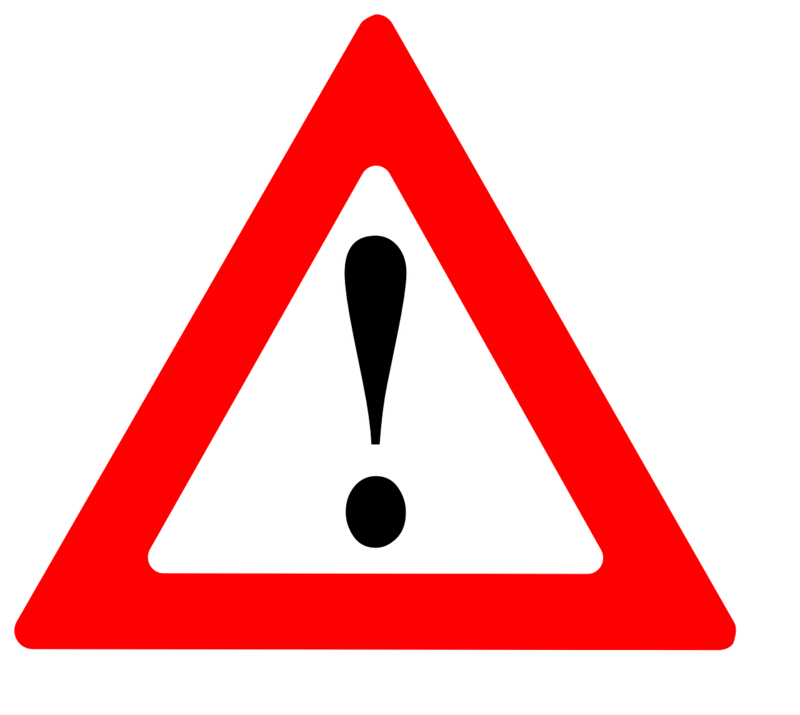 IF YOU NEED ASSISTANCE OR ADVICE WITH EDITING, PLEASE WAIT FOR A LATER POST OR GOOGLE IT. I won’t go into photo editing per se here but the editing process should be part of your photo routin e if it’s not yet. I’m not saying you need to overly doctor your pics until they barely resemble the reality that was captured. That artistic effect has its time and place too. I’m suggesting you use editing to enhance and improve so-so photos into awesome photos. Or to save pretty-crappy pics that need help with exposure, red eye, cropping, color correction, saturation or other adjustments. The best part about photo editing these days is that you do NOT need high-end Photoshop talents to improve a photo. Often the basic editing available in your device will do just fine. Whether that’s a mobile app on your phone or iPad, or a free online browser-based solution like PicMonkey.com, you can take control of your photos to improve the basics, or add fun filters and effects to completely alter the look and feel of your image. You can even add text or art as well to show your creative side. That said, my number one advice for editing is to first SAVE YOUR ORIGINAL and only edit a copy. This will ensure that if you really mess up in your editing efforts, you’ll at least have the original to revert back to instead. This is only a TEMPORARY step! Once you’ve made your edits and verified that the file is the way you want it (and still at full-size resolution), you are now free to delete the first one. Please note that your new file will probably have the same filename by default (but with the word copy in it). Edit the name accordingly. It will also update the date to today, but that shouldn’t matter in this case if you make sure it’s located in the correct folder. And yes, sometimes you like the original AND your fancy edited version so keep both. But let’s not get carried away and make TWO VERSIONS of every photo we take, k? We already know we have a problem. Multiplying it does not solve anything! We must DIVIDE! It’s not new math, folks. The real reason I’m mentioning it now today is that while you are going through each photo in your collection, you can decide right here and now if a photo needs editing. But I’m not talking about the fancy editing for fun effects though. That you can do later on. I’m referring to the “necessary” kind that takes away red eyes or brings a way-too-dark photo into the light. Both will “save” the photo from a sure DELETE. So while I said to delete with ease, if you find a photo that you really wanted to be decent but isn’t, make a COPY of it. If you want, you can add the word “2EDIT” in front of the existing filename so it will be easy to find again. I don’t suggest taking the time to mess with editing now as you can end up spending hours on three photos if you’re not careful with the clock. Instead, keep doing your “deleting” process and mark your “2EDIT” pics for another 15-minute session either yet tonight or a different day. They’ll be there waiting for you. Organizing and time-management experts advise that you “batch” similar processes to speed up your efficiency of tasks. That’s why I’ve isolated these into small, simple steps instead of taking one folder of photos all the way through an entire workflow process. Now go get busy! I’ll admit you can easily get sucked into today’s task. Looking at every photo in your collection may take MUCH longer than 15 minutes. I know it would for me! But you need to be fast, go with your gut and figure out how to quickly decide. Hopefully you’ll get faster and more decisive as you go through your JPGs. “The devil is in the details” may be an odd phrase, but it’s supposed to warn you that overlooking the small things now can cause bigger problems later on. This is so true when we’re talking about organizing photos! Details are what we’re covering today so don’t skip this step. What’s your vision for April Fool’s Day? I’m not interested in your planned pranks & practical jokes but I am curious about how you’ll feel having (almost) finished the #15in15in2015 Spring Fling challenge? Think for a minute what you want to achieve in the next two weeks with your digital photo organization. Do you have lofty goals or would you be thrilled with a partial success? Friday April 3rd is your FINISH LINE! Run, Forrest, run! Visualize with me…it’s Friday, April 3rd. Your digital photos are now all organized! Now when everyone starts posting their #FlashbackFriday (or #ThrowbackThursday) pics on Facebook, you no longer groan, sigh & eye roll out of feigned annoyance, mostly from the fact that you had no clue how to find those old pics to share online. Now let a big grin fill your face as you realize those days are over because now you are totally prepared to participate in all future #FlashbackFridays or #tbts. You’ll be able to quickly locate any other “antique” JPG someone asks about. Simply open your PICTURES folder, choose an older YEAR folder and browse by thumbnail to find an image you’re willing to put in front of the whole planet. 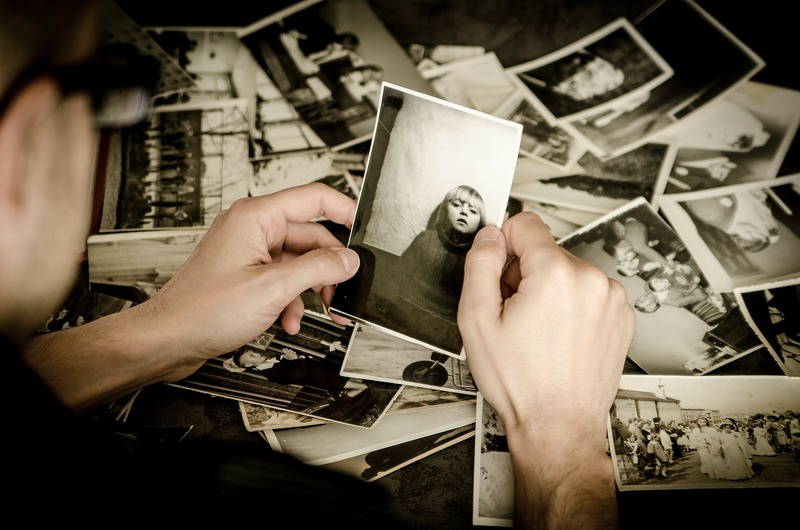 It won’t take you long to find a specific picture, although you may find yourself spending more time strolling down memory lane! 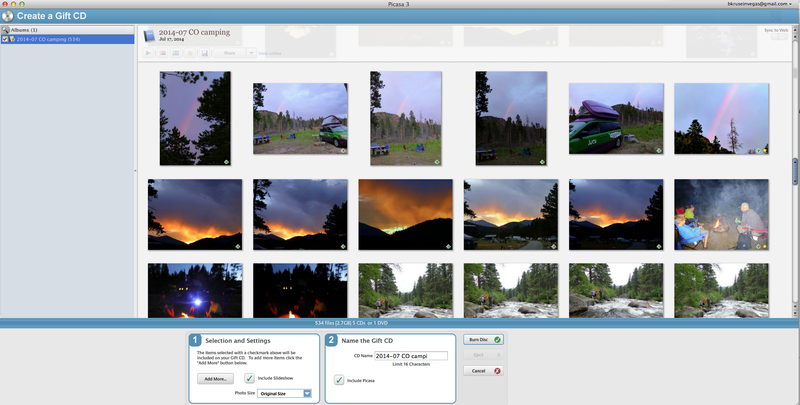 You’ve already gathered all your digital photo files into one hard drive. And you’ve put them all into one main folder. You’ve separated and sorted those into year and month folders. Not bad. Some of you may be tempted to stop here but this is just the tip of the iceberg! In my photo collection history, I’ve noticed January and November tend to be “light” months for me photo-quantity-wise so my pictures can fit in a general group. Yet in some months such as April and October, when my kids have birthdays, or summer with vacation, or December with Christmas, I may have 5 or even 10 sub-divided folders. There are no rules or limits. You make as many as you need to feel comfortable, although I wouldn’t bother with a folder that has fewer than say a dozen pics in it unless they just don’t fit into any other album. Ideally, most months will have more than one event or theme folder inside. Granted, it may not seem to matter much now as it’s only his first season in basketball but maybe by the time he’s a senior in high school, he’ll have been on multiple club, traveling, rec and school leagues, so I’ll definitely appreciate the specifics. And years from now, having the team name in the folder title would be a helpful memory for us both as it’s not shown on their jerseys. DAY 3: 15 MINUTES — MOVING FROM SPEED DATING TO DETAILING! LOOK AT YOUR MONTHLY 2015 PHOTO FOLDERS TO DECIDE IF YOU NEED TO SEPARATE ANY OF THEM INTO SUB-FOLDERS & CREATE SPECIFIC NAMES WITH ADDED DETAILS. Again, it’s hard to say if you needed the whole 15 minutes to do this task. Hopefully you took somewhere between 15 seconds and 15 hours. The point is to get it done in brief bits without hating your screen time by binging on a nonstop marathon. I’m sure you’d rather spend time on Netflix, Pinterest or Facebook for your excessive online addictions instead of dealing with your JPG filenames and locations on your hard drive. Don’t blame you one bit. But doing this now (and keeping up with it later) will ensure you won’t waste any more time looking for photos — or losing any photos! I don’t live under a rock. In fact, I live in Vegas so you can BET on the fact that I know it’s the middle of March Madness (college basketball playoffs). So if your bracket is already busted (bummer for many as my home state (Iowa State) was upset on day 1) or you’re a sports widow and need a productive project, feel free to tackle this one. I’ll definitely BET on the fact that you’ll WIN the game of organizing your digital photos with me as your coach! Ah, Spring. Or should I say, “Achoo!” Spring?! I’m certainly sneezing a bunch since everything is blooming here in Las Vegas! Hopefully things have started to come up green where you live. If not yet, they will. But today is like a second New Year’s Day of sorts. We can use it as our fresh start. A chance to re-commit to a list of things we want to accomplish. Starting over with a clean slate. If you’re here, you clearly want to take back control of your digital photo collection by spring cleaning your photos! You’re in the right place because yes, you can. And you will. If you just promise me (& yourself) that you’ll give each daily task at least 15 minutes of your focused effort each day. Today’s the day we start to clean out your JPG JUNK DRAWER once & for all! No more excuses! No more “I’ll do it tomorrows!” TODAY! And not to burst your “happy place” bubble but this is not a lifelong cure. It requires consistent maintenance or you’ll be right back where you are now with an overloaded hard drive, maxxed-out phone storage, file folder chaos, and an inability to find a photo you want in less than an hour (if that). So go into this 15-day challenge knowing that you’ll need to spend about 15 minutes a week (or so) to keep things tidy. That averages out to about 2 minutes a day. About the length of time you’re supposed to brush your teeth so I think you can fit it in to your schedule, no matter how busy. After all, good habits will continue when the system and processes are in place that make it easy on us. This does that for you. Without further adieu, I welcome you all…but let’s get started with our 15-minute fling! If you absolutely cannot free up enough space on your computer’s hard drive, I recommend using an external hard drive (EHD) for this process. You can buy/find one large enough to hold your entire collection for a rather economical price. Run out to the store right now to buy one. We’ll wait for you. Okay, not really. But if you need to stall your start while you wait for a 2-day delivery of an EHD from Amazon with your Prime membership, just come back here & try to play catch up. Or work at your own pace. No one is really watching. Well, Big Brother, but that’s another blog post! Ha! But you know one really awesome benefit of being in a DIGITAL organizing challenge instead of one dealing with physical print photos? This digital one doesn’t take up ANY extra space outside of your usual existence! Technically, it’s just a bunch of 1s and 0s on your computer’s hard drive, although you mostly see a long list of nonsense filenames like P1057247742.JPG and IMG_8396.JPG and DSCF2705.JPG. After all, anyone can handle doing something slightly uncomfortable for a 15-minute stretch, right? And it’s only 15 days in a row! Could you keep going after that? Knock yourself out. I may even throw in a couple bonus days at the end, but this isn’t a year-long ordeal or anything. Not even one of those popular 30-day challenges to turn it into a habit. So cowboy up, folks. You can deal. That wasn’t the case “back in the day.” Anyone remember film? With limits of 24 exposures? For you youngsters, it’s why your iPhone stores your pictures in a Camera ROLL, because film from the olden days came rolled in a small canister. Seriously. Google it. And I won’t get into the woes of the world not printing any digital photos but you know it’s a fact. Can you hold up to the screen the last 4×6 you printed so I can see it? Yeah, I don’t see anything but your sheepish, guilty face. Point made. DAY 1: 15-MINUTE “C, D & P” FLING! Whatever you want to call it, we can’t do much until you get this step done. Plug in the cable or the memory card to let the computer read the device so you can find the photos and copy/transfer them ALL to the main hard drive. Don’t take the time to judge now. Just dump them into that main PICTURES/PHOTOS folder. Let your software auto-name the folder by the date or whatever it does. We will adjust these later. DO NOT DUPLICATE the ones already on your hard drive! Just MOVE them into the right spot. Although you are COPYING the image files from the camera memory cards, phones, flash drives and such onto the main computer hard drive. These will stay on the original device until you choose to delete them. You can do this right afterward if you are confident that your files are already protected in AT LEAST TWO DIFFERENT ways (type/location), which is doubtful unless you’re already a semi-pro at this stuff. Otherwise, you should wait until I advise you to do this later in the series. Once they’ve been sorted and organized, you’ll WANT to delete the other originals as they will only mess you up if you download/transfer them again. This is all we’re going to attempt for Day 1! Although I assume a few of you might guess tomorrow’s task & try to jump ahead by making folders for the months. But I’ll bet 95% of you will do it wrong. Trust me. You can wait until I show you the very best way. Relax and know you’ve accomplished enough for your first session & have begun the hardest part of any major task — the first step — starting! You’ve overcome the hugest hurdle of inertia! MAKE A NEW “2015” FOLDER & MOVE ALL JANUARY/FEBRUARY/MARCH PICS INTO IT. No clue if you’re a religious person and this isn’t really meant to be a faith-based point but if you just put ALL your photos on your computer — all your eggs in one basket — it probably goes without saying to be extremely careful and kind to your computer or hard drive. Don’t do any updates/upgrades to software or systems right now. Don’t decide to take the laptop to the beach or work poolside. Don’t drink coffee (or any liquid) next to it — at all — for any reason! Don’t let the kids download new games or play on it. Take every precaution possible until we’ve organized your photos and then safely archived them using at least two methods besides this hard drive. And let this sentence release me from all legal liability should anything happen to any of you really unlucky folks. Til tomorrow when we meet again…same time, same place! Please share your progress, success or struggles in the comments section below. You may also ask any questions there if you believe my answer could benefit others, or email me directly [ask (at) photo organizing pro dot com] if you have a more-specific request. DAY 9: 2/6/15: 15 MINUTES. ROCK THE STAR ALBUMS!